Harry Potter's second year at Hogwart's just got interesting. Harry is a 12 year old young wizard attending a wizardry and witchcraft school called Hogwarts. Harry's parents died when he was a baby by a dark wizard named lord Voldemort. Voldemort tried to kill Harry but failed and disappeared, some people said Harry killed him and his spirit is still around. Now Harry has to live with his aunt, uncle, and his cousin, their called "the Dursleys." 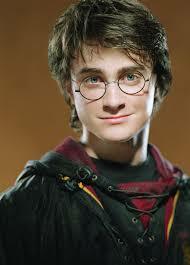 Harry is treated poorly with them, bat after Hogwarts he loves his friends Hermione and Ron. The book Harry Potter and the Chamber of secrets is a great book in my opinion. There is a new teacher this year his name is lockhart and he is the new teacher for defence against the dark arts. Daco Malfoy is the new seeker for Slytherin's quittage team because his dad bought the team the Niumbus 2001.